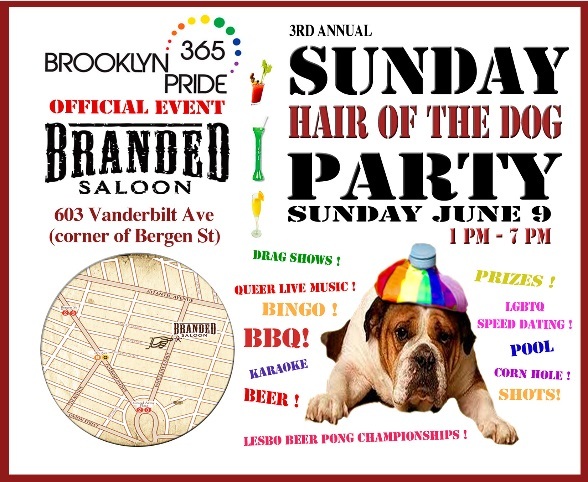 Branded Saloon: Sunday 06.09.13 - Branded's Brooklyn Pride Hair Of The Dog Party 1pm-7pm - drink specials, food specials!! Sunday 06.09.13 - Branded's Brooklyn Pride Hair Of The Dog Party 1pm-7pm - drink specials, food specials!! Branded's Brooklyn Pride Hair Of The Dog Party 1pm-7pm - drink specials, food specials! !